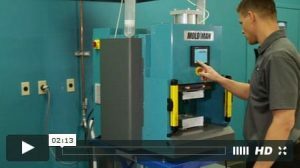 Get a look first-hand at Mold Man® Machines with videos demonstrating how to operate and special features. The Mold Man 1050 is compatible with low-pressure materials including polyamides and copolyesters. Finished products are ready to handle and test in seconds. The Mold Man 2050 is compatible with one or two-part silicones, urethanes, and epoxies, distributed through bulk or cartridge packaging. Finished products are ready to handle and test in seconds. Watch a helpful video demonstrating a sample fill time for a low-pressure molding application. 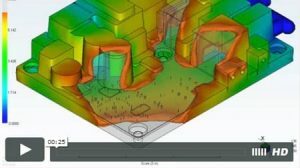 This moldflow analysis models a sample pressure drop in a low-pressure molding application. 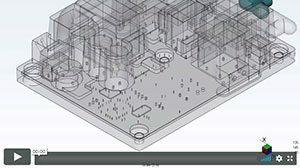 MoldMan™ Systems uses Mold Flow Analysis to analyze plastic flow within the mold-set, prior to manufacturing the mold-set, for sealing electronics and PCBs using Mold Man® Low Pressure Injection Molding. Mold Man® Machines work well with Henkel TECHNOMELT® materials, featuring benefits like shorter cycle times, design flexibility, effective strain relief, and water-tight encapsulation. Learn how Mold Man® Machines and Henkel TECHNOMELT® materials work together to overmold PCBs with protection against dust, vibration, and impact. Looking to see what your own application would look like in action? 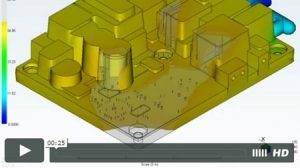 MoldMan also offers special options like moldflow analysis and moldset creation, allowing you to design and create the perfect moldset. Contact us today to learn more.